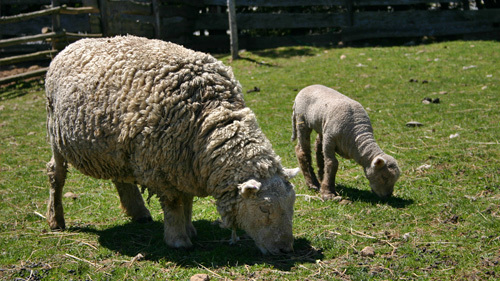 The Southdown, a chunky short - woolled animal, is one of the oldest purebred sheep in the world. It originated on the slopes of England’s chalk hills, referred to as the “Downs” of Sussex. The breed seems to have grazed on the dry, rich “Downs” grass from the earliest times. Many of the Southdown sheep were bred by the English aristocracy including several reigning Monarchs. They were known at one time to be the best mutton sheep in the world, adaptable to any climate and style of farming. The ewes make excellent mothers and are prolific breeders, frequently producing twin lambs. Records indicate that Southdowns were among the animals brought into North American British colonies as early as 1640. Documented importations were made into Pennsylvania from 1824 to 1829 from the English flock of John Ellman and later on into Pennsylvania, New York, And Illinois from the Jonas Webb flock. These two men are considered to be the standardizers and improvers of the Southdown breed. The first pure Southdown reached Canada in 1845. By 1900 Southdown were the most widely distributed sheep in the world. In contrast to that, in 1984 only 265 new registrations were entered in Canada. The Southdown is also renowned for its amenability. It was described as having “the carriage of a gentleman and the walk of a thoroughbred” and is considered to be one of the great sheep in history. Considering the closeness of the Atlantic Canada settlements, such as the distance between New Brunswick and Prince Edward Island, the Southdown breed was improved greatly throughout the 19th century. For example, by 1900 Southdown sheep became shorter, with smaller necks than they had in previous eras. 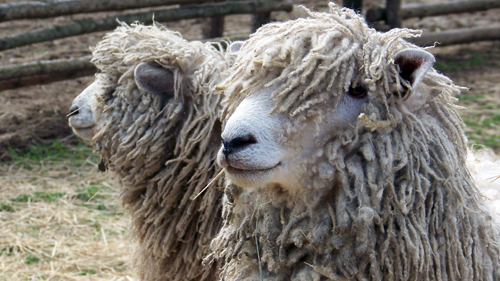 Despite the changes and improvements to the Southdown breed, their disposition and productiveness have not been compromised. They continue to be classified as a hardy breed of sheep that are able to thrive on dry and thin pastures. It was this personality and fruitfulness that allowed the Southdown sheep to become the most widely spread sheep in the world by 1900. However, by the 1880s the Shropshire breed was beginning to take over as the most sought after sheep.